If you're sourcing for proven quality, reliable supply and competitively priced vegetable based oleochemicals, Malaysia is the place! 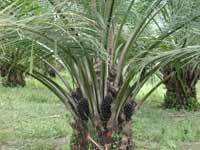 In the early 1990's, MTAC's management realised that vast opportunities and long-term returns could be achieved by becoming involved in the ever expanding palm oil derivatives market. All the necessary infrastructure and advantages exist in Malaysia such as the government's overwhelming support of the industry, an extremely capable financial workforce including numerous trade facilities for exporters to conduct business with global buyers under complete ease and reassurance to both parties, an efficient and reliable communications system, the abundance of competitively priced fresh palm oil as raw material that ensures downstream products are of premium and stable quality, as well as the availability of vast transport and shipping facilities of world-class standards, makes it easy to understand why the palm oil industry here is not slated for just a few years of running but well into the next millineum and beyond! It might not be a far-fetched thought but one day, palm oil could very well replace petroleum as the main source of "renewable and bio-friendly" fuel for the world's energy needs! Oleochemicals (or chemicals from oil, be it of vegetable or animal source) is used in everyday life, whether one realises it or not. When you wake up in the morning, among the first things you perform is brushing your teeth. Toothpaste contains glycerine, an oleochemical derived by-product. if you shave, your shaving cream contains lauric acid, an oleochemical. Next, you grab your soap which also contains oleochemicals, derived from distilled fatty acids. If you're wearing make-up, your lipstick might contain stearic acid, another form of an oleochemical. The list goes on and on, where most of us take for granted on how important and overwhelming the usage of oleochemicals is present in our daily lives! Now, where does MTAC stand? Our specialty is providing the small to medium buyer THEIR choice of products AND packing. Try asking a large producer for 2 tons of stearic, 4 tons of glycerine and 12 tons of oleic acid in the same FCL! They will downright reject your request. This is where we come in. We listen to your needs and have the necessary logistics and patience to properly pack your individual products and maximize your container space and we never say no to a multi-load order.